A few things to remember and some requests! We would like to remind you that dogs are prohibited on campus at all times. For the safety of our staff and students we will be enforcing this regulation immediately. Thank you for your cooperation. We would like to bring our dress code to your attention. Children are encouraged to wear clothing that is clean, neat and appropriate for their age. Baggy pants, halter-tops and spaghetti straps are not to be worn. Flip flops, high heels, sandals and any other dangerous footwear will not be permitted. The state requires physical education activities. Tennis shoes or closed-toe rubber–soled shoes are the safest shoes to wear on the playground for these activities. Please make sure to fill out your federal survey cards completely and return to the office as soon as possible. These cards are kept confidential. Everyone must fill one out even if you don’t live or work in federal property. Parents – we are in need of extra pants or shorts, and underwear (Including soccer shorts sizes 5 – 8) for the nurse’s office reserves. We often loan clean clothes to students who need a change of clothes – for various reasons. Any time you go through your children’s clothes and find any bottoms (or underwear) that they have outgrown, please bring them to the office. We can always use them. Thank you. We have many items in the Lost and Found box, next to the auditorium. Please come and claim your items before and after school. We will be donating the unclaimed items. We are looking for adults to assist with supervision of children during lunch and lunch recess (from 12:00 – 1:00 p.m.). Whatever your schedule is we can use your help even if it’s one hour a month (paid positions are also available). Pacific Beach Middle International Baccalaureate World School will open its doors on November 3, December 1, January 5, February 2, March 2, April 6 and May 4 from 8:00 – 10:00 a.m. in the Pacific Beach Middle Media Center. Parents of prospective students are invited to meet the principal, visit the classrooms and learn about the IB program. For more information: jsims@sandi.net or (858) 273-9070 ext. 2357. San Diego Police Department will begin monitoring our school to give out tickets to those who choose to risk their child’s safety. It only takes a few minutes to park at the church parking lot and walk your child across the street. Remember it’s for the safety of our students. Our annual school tours are scheduled for October 19 & 26 at 8:00 a.m. Parents of prospective and current students are invited to attend. For more information please call (858) 488-8316. Please take note that skateboarding is prohibited on campus at all times. For the safety of our staff and students we will be enforcing this regulation immediately. Thank you for your cooperation. When Kelly Lenzkes’ twins, Kaitlin and Beckley, started kindergarten last year, she knew adjusting to school would be a big transition for them. What Kelly was surprised to learn was how much of a learning experience it would be for her. After about a month at the school, Kelly felt like she and the kids were settled. She knew the routine, and was getting to know more about the school. That’s when she started hearing everyone talk about a Turkey Trot. Kelly, who grew up in South Africa and moved to the United States in 1998, was baffled. What is this Turkey Trot, she wondered, and what does it have to do with PBE? “I had to research it!” Kelly said, laughing. Once she got up to speed on the Turkey Trot, which is a jog-a-thon held in November, Kelly found out the prize for the top Turkey Trot fundraisers was a March Madness party. That prompted another question: what is March Madness? Not everyone who comes to PBE is confused about the meaning of a Turkey Trot, but new parents still have a lot to learn. Kelly understands new PBE parents have a lot of questions, and as Room Parent Coordinator she is dedicated to helping newcomers understand the ins and outs of the school. “I had a ton of questions about various events and activities,” Kelly said about her first few weeks at school. “I was Mrs. Galvin’s room parent, and I figured there were other parents who felt the same way… so I’d track down information from key players and then share with them. Having gone through a whole school year, now I feel like I finally have the inside scoop on how things work at PBE,” she said. Being involved at the school allowed Kelly and her husband to forge many new friendships. “A lot of my friendships at PBE have been built simply by spending time with other parents on campus at various volunteering opportunities, either in class or for the school in general,” Kelly said. She’s included a few tips for new parents below, but her number one suggestion is to get involved in whatever way is possible for you. “I encourage every parent to make a concerted effort to participate in social events within the PBE community,” she said. For more information about how to get involved, visit https://www.sandiegounified.org/schools/pacific-beach or send an email to pacificbeachelementary@gmail.com. Get to know the various fundraisers of the year, so you can plan your contributions and involvement. These are some of the bigger fundraisers, but there are events going on all year that need donations and volunteer help. Visit the school calendar (https://www.sandiegounified.org/schools/calendar/Pacific%20Beach/2016-10) for a complete list. Contribution Drive – September: Usually tied to Penguin Pride. 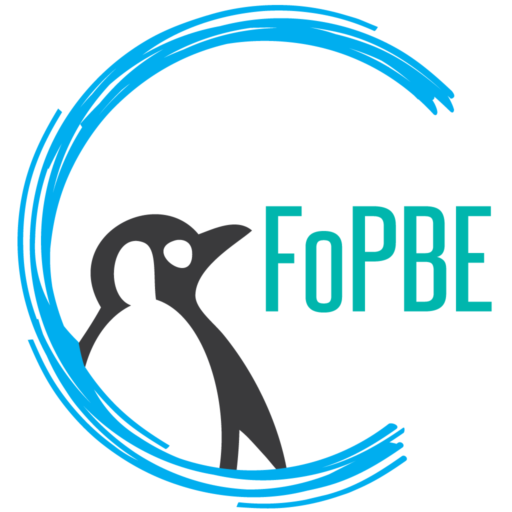 PBE families contribute to FOPBE for ongoing funding of our programs. Turkey Trot – November: A jog-a-thon. Students are sponsored for running laps around a course for 30 minutes and they can win prizes based on meeting certain sponsorship milestones. “March Madness” is one of the big prizes. It’s a big party in March for the kids with a DJ, food, and more.